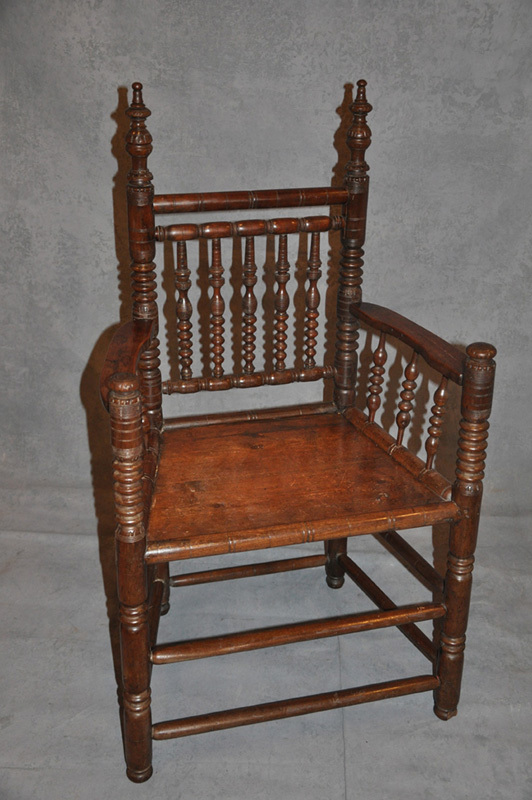 A rare 17th century turner’s chair of superb design from the Charles 11 period. 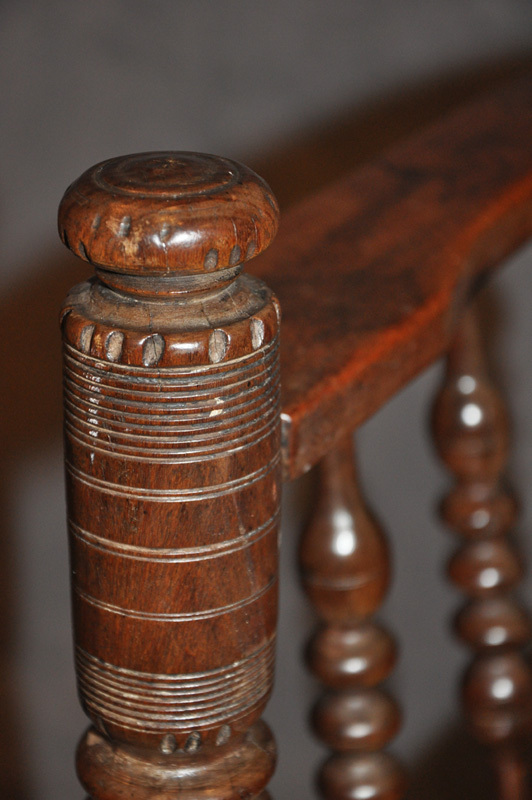 Wonderful rich warm colour and patina. 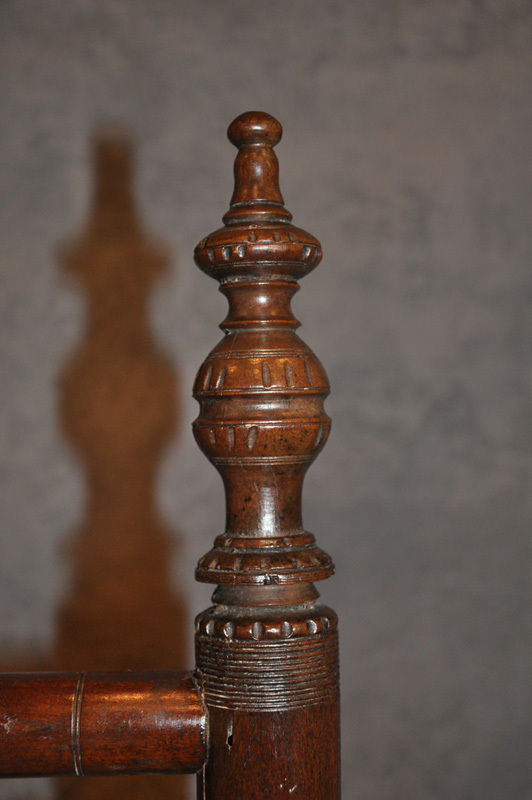 The turnings are very well executed and the proportions of the chair work well , the carved and turned finials at the top are a really nice feature. 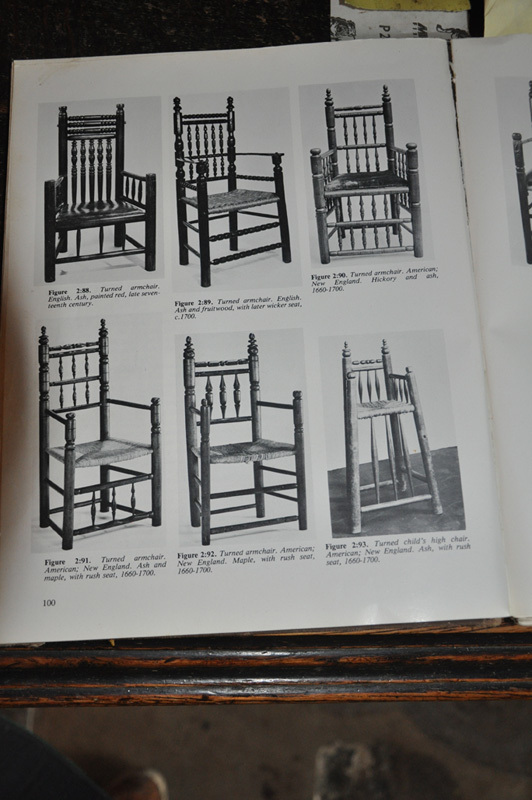 There are similar examples in the dictionary of English Furniture. 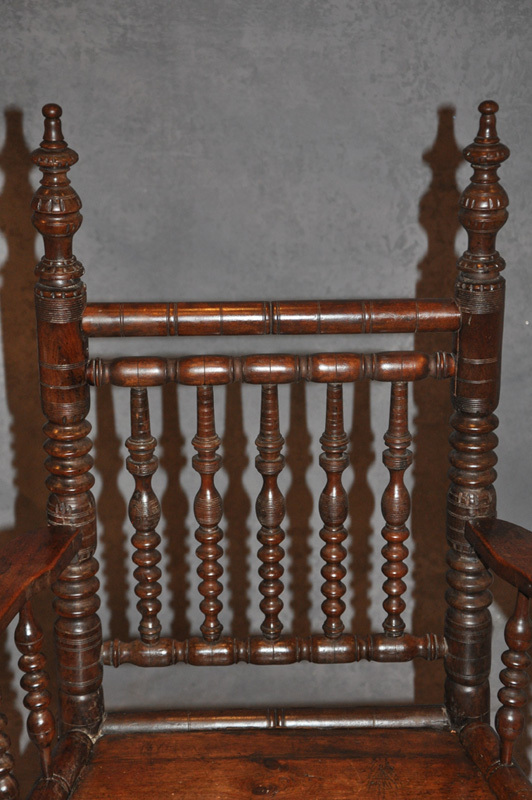 Some believe this type of chair to be of American origin.